On my first trip to Ireland, I tossed my clubs into the “boot” of the rental car, opened the left front door and realized the steering wheel was on the right. Jet lag may have had something to do with it. But driving on the “wrong” side of the road can be stressful. On our last trip, our group put the driving and planning into the capable hands of Carr Golf. 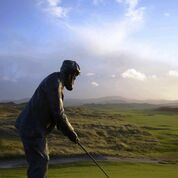 Joe Carr, the company’s late founder, was one of Ireland’s greatest golf heroes with over 40 championships including three British Amateur titles. Today, Joe’s son, Marty, operates the business, named winner of Golf Digest’s Editors’ Choice Award as 2016’s “Best Tour Operator. With our input, Carr booked our tee times, caddies, hotels and sightseeing ventures. When we finished our rounds we piled into our comfortable coach while our driver, Senan, expertly handled the roads. Nothing cures jetlag like a round of golf in a stiff wind. 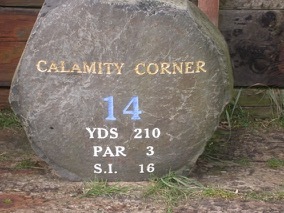 That’s just what we encountered at Portmarnock’s Old Course, 15 minutes from Dublin Airport. Pot bunkers abound and the rough is long and fierce. 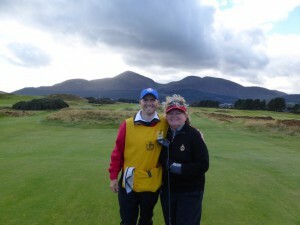 When my Titleist blew off the tee and Rory, my shivering caddie remarked, “I’m glad it’s you playing in this wind and not me,” I knew we were in for a battle. There are plenty more great links on the Causeway Coast but our group had decided to spend a few hours driving to a couple of lesser known masterpieces in northwest Ireland. Rosapenna overlooking Sheephaven Bay has been challenging golfers since 1893 when Old Tom Morris created nine holes among the dunes. About a century later a newer Strand nine replaced the old front nine resulting in a wonderfully schizophrenic blend of ancient and modern links. Just beyond the 18th green stands a life-size statue of Old Tom himself. Bring your camera. 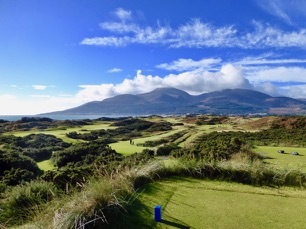 It’s fitting that the world’s top ranked Royal County Down sits beside the landmark Slieve Donard Resort and Spa. 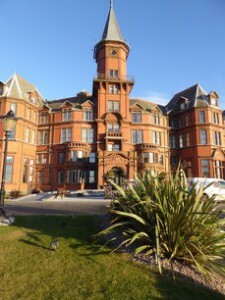 The sprawling Victorian edifice offers grand views of the Irish Sea, especially from the bubbling vitality pool in the spa. Breakfast in the Oak Restaurant is a sumptuous buffet. It was here that I discovered porridge is better when you add fresh cream and a wee dram of Irish whisky. After rounds at Royal Portrush and Portstewart, the inviting smoky smell of a peat fire lures visitors into the snug Bushmills Inn. 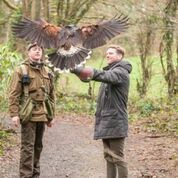 Fortify yourself with an Ulster fry breakfast, then head to The Giant’s Causeway, a World Heritage Site and geological marvel. You can hike among the 40,000 six-sided basalt columns formed by cooling lava about 60 million years ago. Nearby, I recommend the tour with samples at Old Bushmills, the world’s oldest licensed distillery, where they’ve been producing the “water of life” since 1608. After our round at Enniscrone, we visited Kilcullen’s Bath House, circa 1912. Visitors steep in deep Victorian tubs filled with hot sea water doused with fresh seaweed, known for its natural curative powers to reduce stiffness and make the skin silky soft. Chef Willimont of the Kitchen Restaurant serves innovative dishes using produce from the Estate’s own gardens. You might feast on turnip and horseradish soup, salmon with a gin and beet purée and cassis, elderflower and apple cobbler. Sip your nightcap in the lively Boathole Bar.